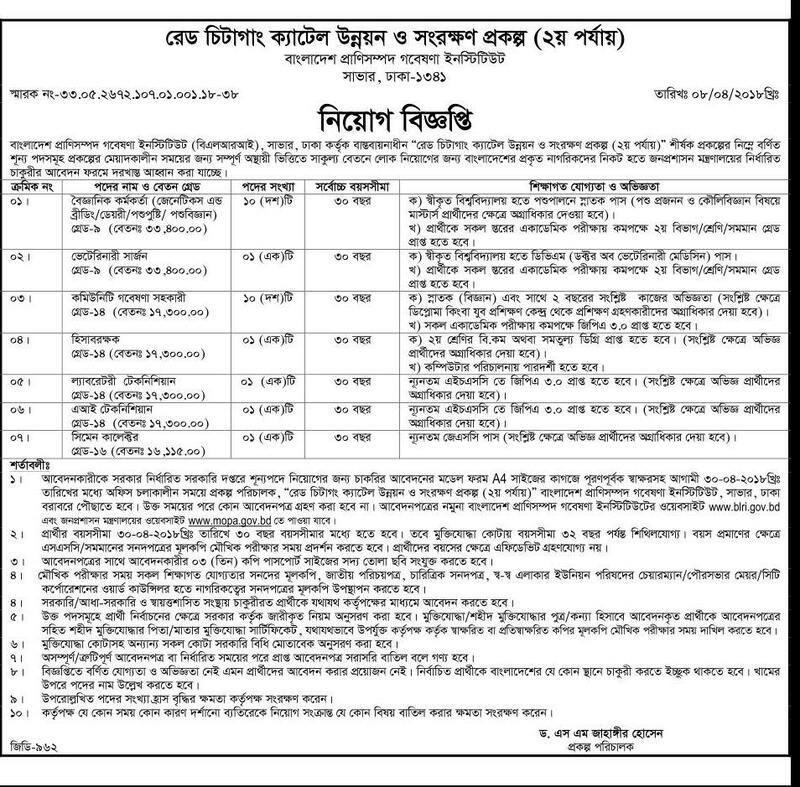 Bangladesh Livestock Research Institute Has Been Published A Great Career Opportunities. In according to This Job Circular, The Deadline For Apply This Job Is 30 April 2018 . To Know More Details Please See The Original Job Circular in Image File. The Image File Is Given Below.